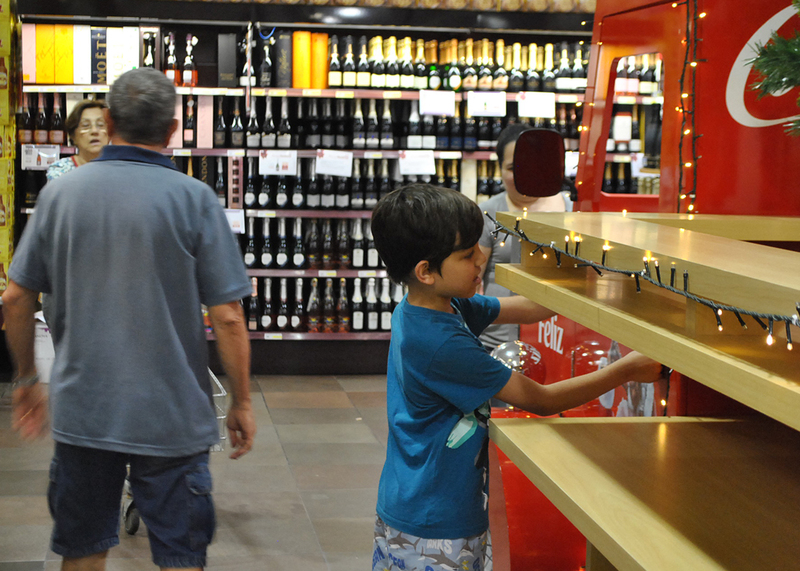 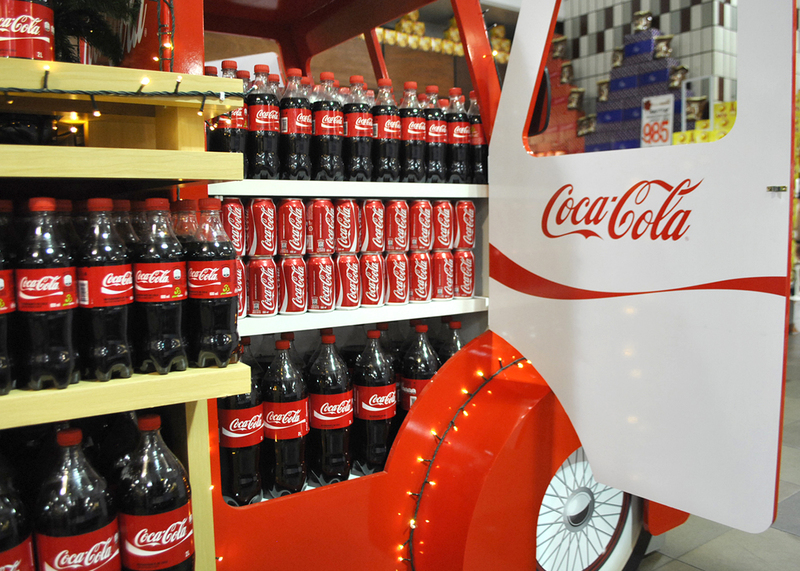 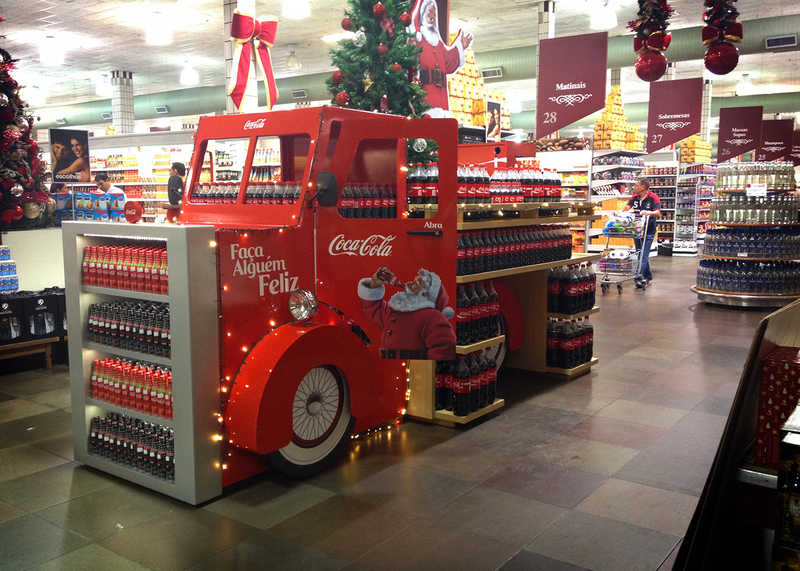 Coca-Cola hired That to create a special 4.5m-long supermarket display. 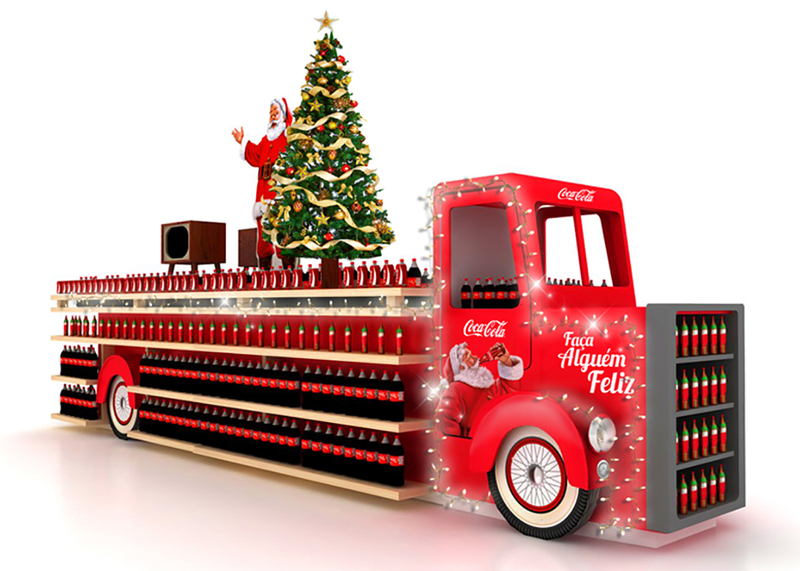 The most important detail is that it needed to remember the classic trucks of the brand, so traditional in the Christmas season. 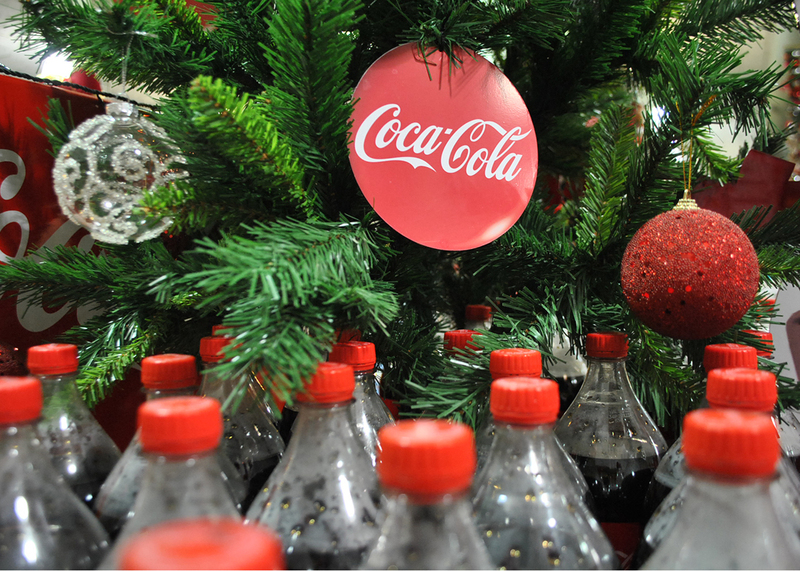 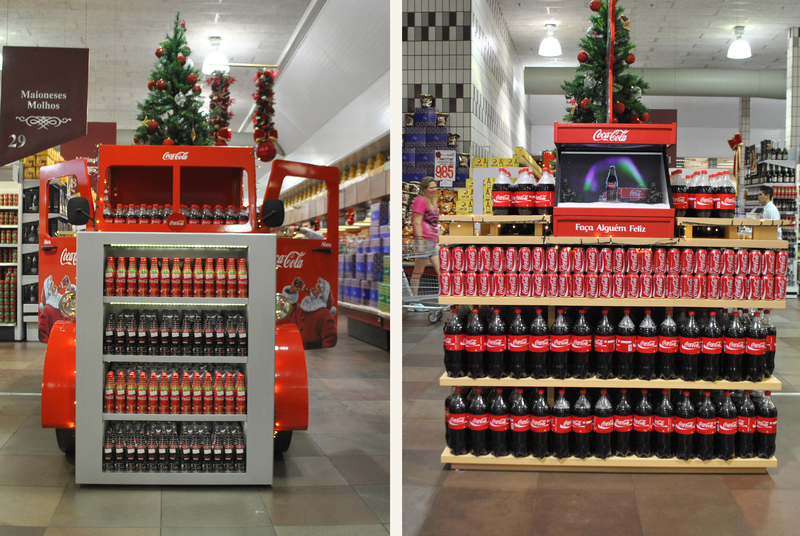 The idea of the team was to bring the spirit of Coca-Cola’s “Christmas of old” with that one touch of modernity. 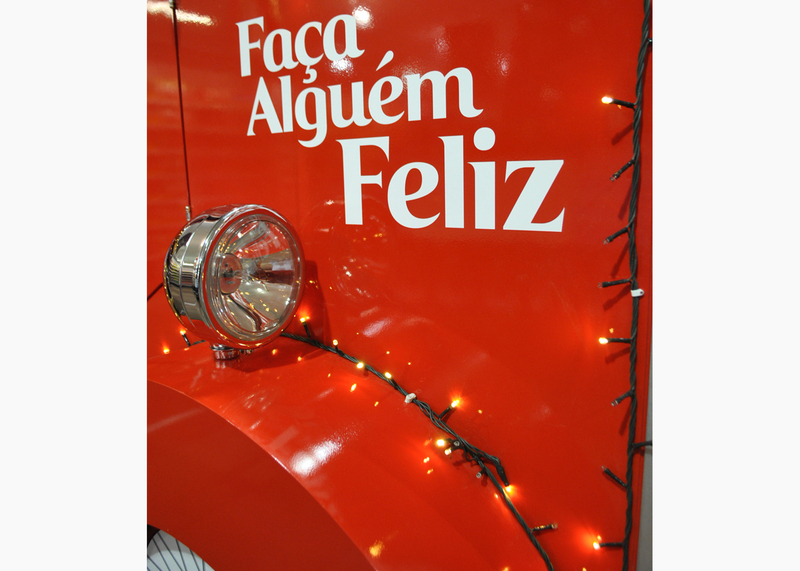 With original pieces of Kombi the proposal was to create a people where people could interact when choosing the products. 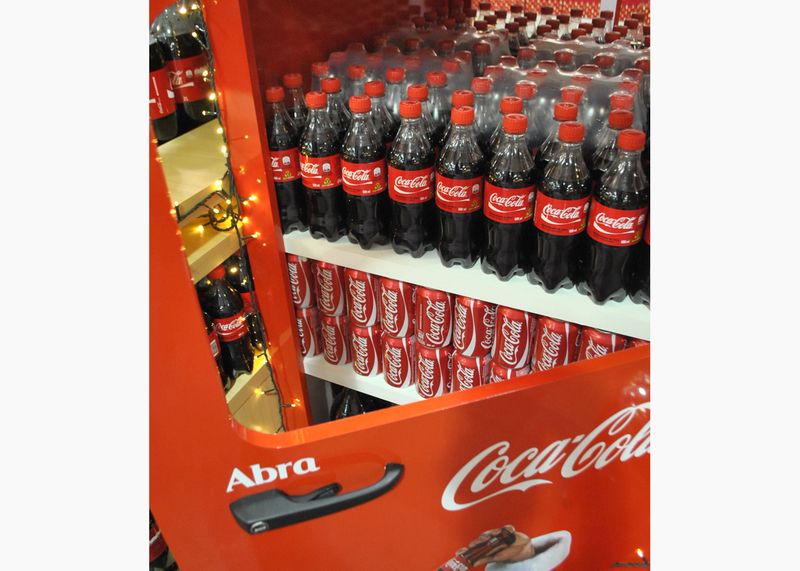 In this way, our That Team Team designed the exhibitor so that the doors could be opened, and with this the consumer could discover new products stored in the interior. 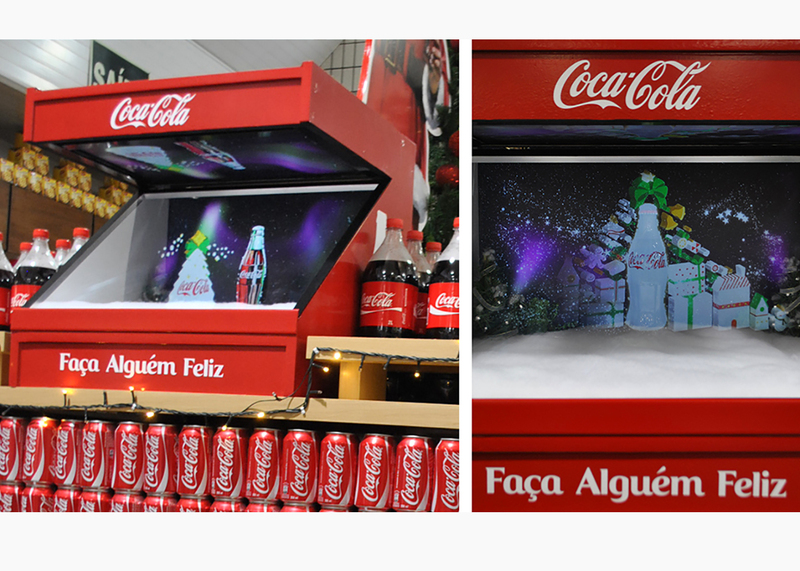 We took advantage of the time and prepared a surprise together with a partner supplier of the hologram area and created a kind of holographic three-dimensional advertisement in the back of the truck / exhibitor to surprise those who did not approach the front. 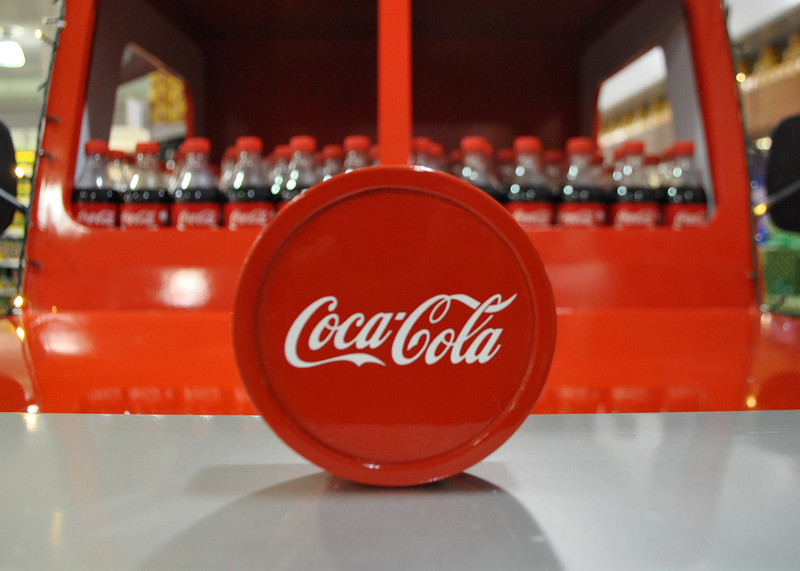 What most caught our attention in the project was the way the consumer interacted with the exhibitor. 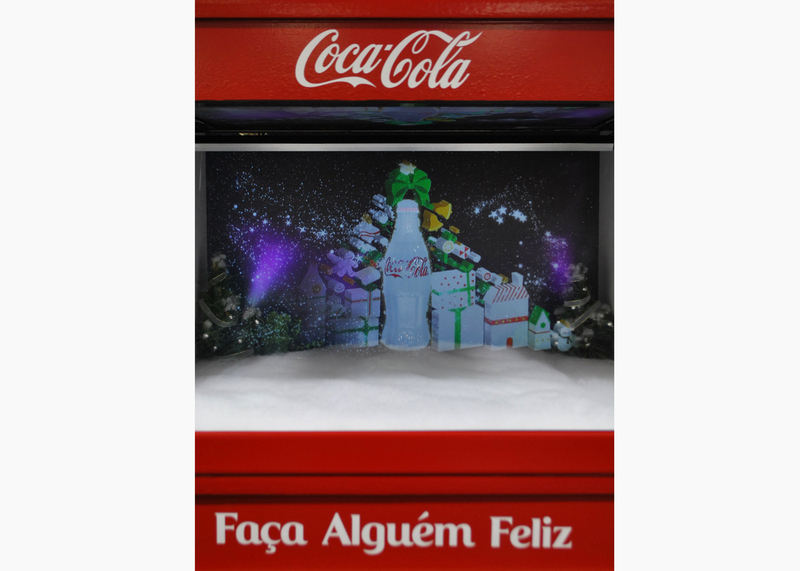 They were photos, opening doors to see what was inside and more. 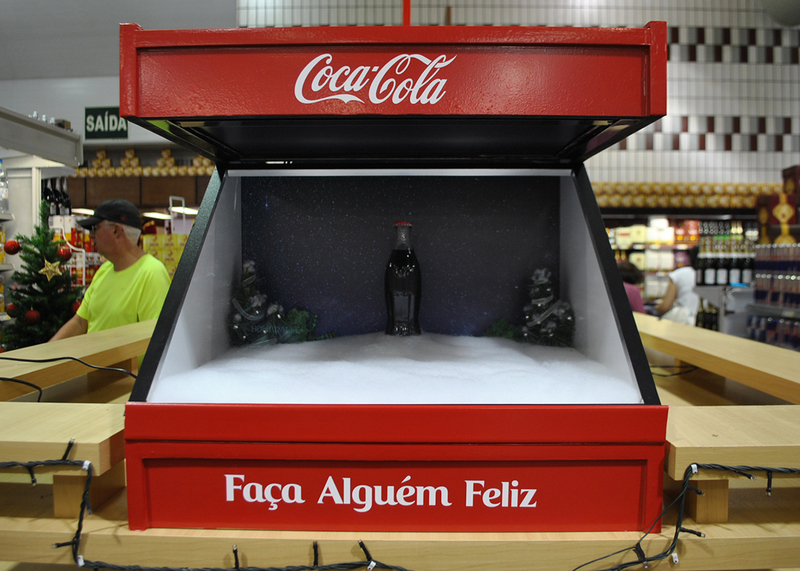 A gentleman at his best approached during the assembly of one of the exhibitors in a supermarket, and began to cry and exclaimed: “Coca-Cola always surprises us at this time of year.” This time who surprised us were us with this beautiful attitude.